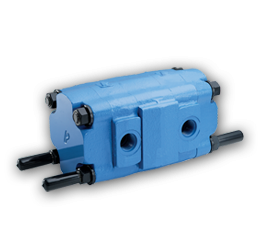 Flow dividers are used to maintain consistent flow rates in different legs of a hydraulic system regardless of the pressure in each circuit. They can also be used for intensification, to operate a component at a higher pressure than the current system supplies. Use gear width 1″ or larger. Min. RPM 650. * Consult flow divider catalog.